At 1107 E Street in Belmar, New Jersey, a group of musicians rehearsed in a garage squeezed between a house and the south-side fence. October 1972, The E Street Band lead by the legendary Bruce Springsteen was formed and the rest is history. Fifty years prior to Born To Run, Walt and his brother Roy set up the first Disney Studio in the one-car garage on Kingswell Ave, Los Angeles. A garage is the birthplace of many of the most prolific inventions of our time. In 1939, Bill Hewlett and Dave Packard founded HP in Packard’s garage with an initial investment of $538. In 1976, Steve Jobs and Steve Wozniak started Apple Computers by selling 50 units of Wozniak’s Apple I Computer at $500 apiece. Jeff Bezos founded Amazon.com in 1994 as an online bookstore and ran it out of his garage in Bellevue, Washington. At 16 years old, Michael Kittredge made his scented Yankee Candle in his garage out of melted crayons as a gift for his mother. Daymond John, from ABC’s Shark Tank, packed his mom’s garage with sewing machines and seamstresses to make polar fleece garments. Other companies born in a garage: Mattel, Maglite, Dell, Harley Davidson and a little company named Google. 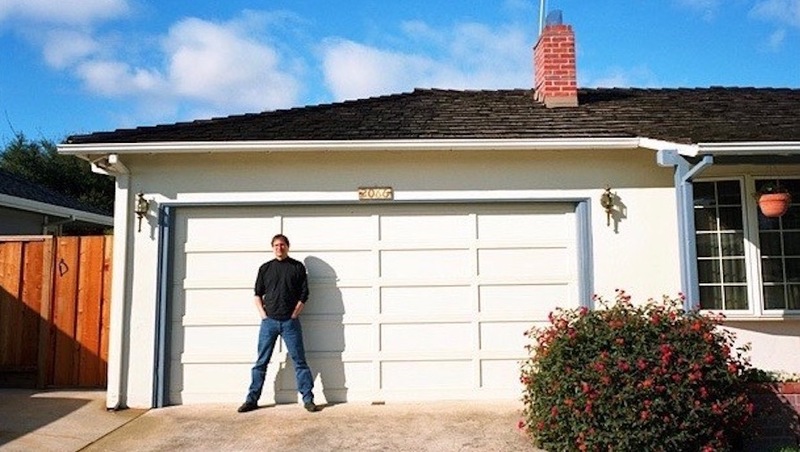 So why does a garage inspire such entrepreneurial achievement? Financially, there’s no overhead – who wants to pay rent and utilities when all you need is a place to create. The money saved is the money used to develop an idea. Creative people often work strange hours, so an old desk and beat up couch can outfit a garage headquarters for those late night work sessions. And a garage provides a haven from naysayers. Regardless of where you start your business, never lose sight of where you came from. Whether it’s a garage, a basement, or a dorm room, every business has humble beginnings. And when moving to fancier digs after achieving that first success, don’t leave that original passion behind. Remember, it is about where you start – as well as where you end up.